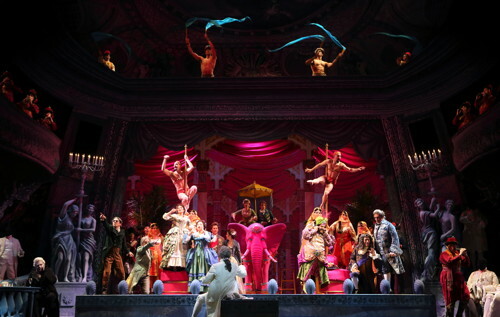 Handsomely mounted on a massive scale and featuring scores of talented cast members, the LA Opera has delivered what is possibly the definitive staging of William M. Hoffman (librettist) and composer John Corigliano’s ‘grand opera buffa’ The Ghosts of Versailles. This lavish production marks the West Coast premier of a work that was commissioned by the Metropolitan Opera and staged in 1991. But with its largely dissonant score, mostly unmemorable melodies and wildly varying emotional tonality — lurching from pathos to parody and back — the three-hour experience proved difficult to endure. The two-act story is set in an afterlife existence of the Versailles court of Louis XVI, following the French Revolution. The despondent ghost of Marie Antoinette laments her purgatorial situation, prompting the ghost of the playwright Beaumarchais to cheer her up by staging an opera using characters and situations from his first two Figaro plays (referencing, in particular, The Guilty Mother). In this ‘opera-within-an-opera,’ Count Almaviva, along with his trusty manservant Figaro, attempts to rescue Marie Antoinette from the peasants in revolt. When things go awry (including some nonsense involving the Queen’s stolen diamond necklace), Beaumarchais himself enters the opera and – with the help of Figaro and his wife Susanna – tries to rescue the Queen. The result is an uneasy combination of the Grand Opera style (meaning, large chorus numbers and special effects) with the frivolous and fluffy silliness of the ‘opera buffa’ style. With its musical invocations of Mozart, Rossini, at times the opera pointedly satirizes various operatic conventions in a heavy-handed fashion. A German character is rendered as a borderline offensive caricature (think Hans und Franz from dated Saturday Night Live sketches of the 1990s). This, and the random appearance, at the end of Act One, of a Valkyrie character declaring ‘This is not opera! Wagner is opera!’ and getting a pie in her face typify the various failed stabs at comedy. Nevertheless, director Darko Tresnjak is to be commended for his masterful interpretation of this complex and problematic work. The multi-layered scenic design is superb, with its balconies and balustrades a monochromatic blue-grey. For the ‘opera-within-an-opera’ scenes a more colorful, smaller set trucks down and up stage. Envisaged and realized as a pop-up book as viewed through a fish-eye lens, the magnificent set grants the audience a distorted aspect that is appropriately disconcerting, especially during the scenes set in the bleak netherworld inhabited by the decapitated aristocrats. A masterstroke is the rendering of the eleven ghosts presenting disembodied singing heads —the singers themselves, dressed in black costumes — each of whom is paired with a dancing body clad in white clothing, their heads made ‘invisible’ by black cloth. 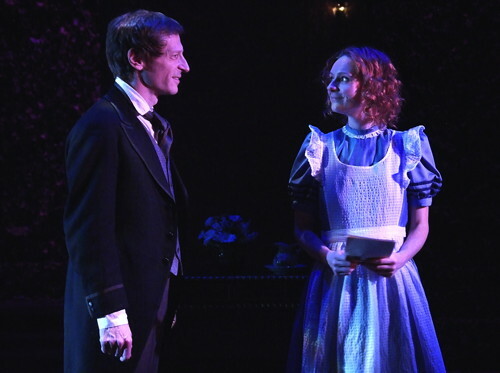 All performances — singing and acting — are first rate. Lead Soprano Patricia Racette delivered a moving Marie Antoinette. Baritone Lucas Meachem was a wonderfully masculine Figaro. Patti LuPone sashayed and warbled to good comic effect during her eight-minute cameo in the nonsensical Turkish sequence. Soprano Guanqun Yu sang divinely as Rosina, and we can look forward to her starring performance as Countess Almaviva in The Marriage of Figaro, the third stage of the LA Opera’s trilogy, Figaro Unbound. But despite the wealth of material drawn from the Beaumarchais canon, the storyline of The Ghosts of Versailles is slight and the music largely unappealing. Some pretty duets sprinkled throughout, plus a powerful quintet towards the end, are not enough to recommend this opera. Strictly for the curious and die-hard opera aficionadi. 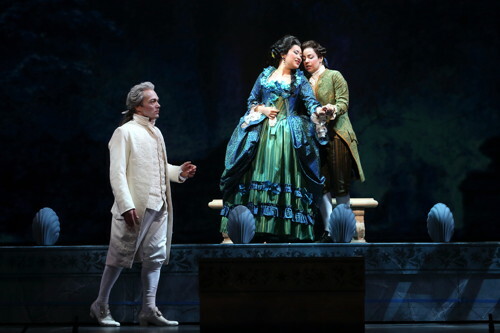 The Ghosts of Versailles is the first opera in the Figaro Trilogy, and opens on February 7, 2015. 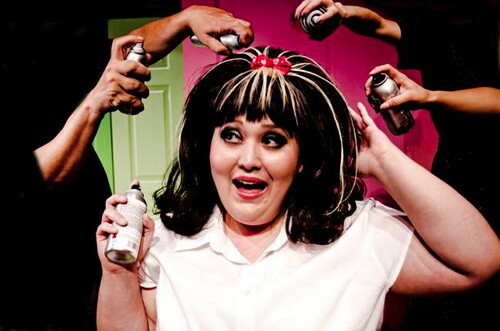 The Barber of Seville will open on February 28, followed by The Marriage of Figaro on March 21. The Figaro Trilogy will be conducted by James Conlon.